Weekend trips near Tufts – the best places to hike and explore! Let me tell you something that you’ve probably never heard before: grad school is tough. It requires hard work, dedication, and spending most of your time deep-diving into whatever you are working on. Even though we are lucky enough to perform our studies on a truly beautiful campus, we spend most of our time in our classes, labs or study areas. Because of this, removed from nature! Along with the significant health benefits of fresh air, nature has a lot to offer us. Spending time outside provides physical (and mental) rejuvenation, helps you to cope with stress, enhances your mood, reduces anxiety, and muscle tension. You focus better, become more creative, and improve your problem-solving skills. Luckily, even grad students have weekends, and the Greater Boston Area couldn’t be located in a more strategic position for weekend getaways. It doesn’t take more than a couple of hours to drive to get to the most beautiful mountains of the East Coast, stunning lakes, and gorgeous national parks. Here are my favorite destinations to spend some quality time in nature, which are very convenient to visit either as a day trip or overnight stay. This state offers shopping with no sales tax and many mountains with several trail options for hiking. It takes approximately two hours to drive from Medford, depending on where you are heading. White Mountains National Forest is a personal favorite, as it houses the majority of 4,000 footer mountains in the area (mountains which have an elevation of at least 4,000 feet). 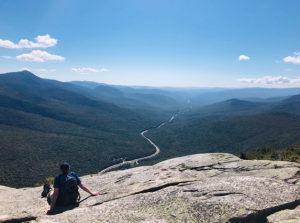 Mount Washington, the tallest and the most famous one, is definitely a must-go, but there are some other options for those who are not very experienced in hiking. Cannon Mountain is 4,100 feet high, and very convenient for visitors since it has a parking lot right next to the beginning of the hike. The hike is steep, and offers a fascinating view if you can make it all the way up to the summit. Even if you cannot, the mountain has some sub-peaks called “The Cannon Balds,” which are great places to have your lunch in the woods with an awesome view of mountains. If you feel lazy, but still want to see the view, there is a family-friendly cable car which can carry you up to the top, but I highly recommend you to take the high road and reward yourself with well-deserved cold beer at the observatory. If you are an experienced hiker, you can try a steep trail loop to North and South Kinsman. To turn your day trip into a longer visit, stay at the affordable and convenient Fransted Family Campground nearby and stop at Franconia Notch State Park and Echo Lake for more hiking and sunset views, and One Love Brewery for food and fun. *Pro-tip: It is awesome to watch sunset on the mountains, but be prepared to go all the way down in pitch dark. 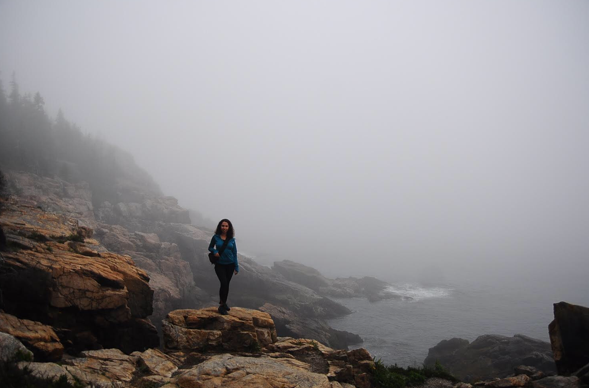 For a longer trip, I recommend Acadia National Park in Maine. It takes approximately four hours to drive there from Medford. If it will be your first time in Acadia, I suggest you camp in Black Woods,since it is very close to the main trails and mountains. *Pro-tip: Book your spot in advance! They are very likely to be sold out. The best time to visit this mountain is late summer and early autumn. Maine is a very cold state, so bring some warm clothing in addition to your camping gear—I wore my Christmas socks at night to keep myself warm… in August! Start exploring with Ocean Trail, which is the most popular and easiest trail of the park, and runs along the beautiful Atlantic coastline. You can hop on the rocks if you feel adventurous to get closer to the water. 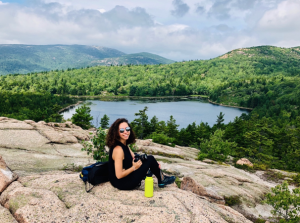 If you are in Acadia, you must watch the sunrise from the top of Cadillac Mountain – you will be the first to watch the sunrise in the entire country! Start climbing at 3:00 am (or drive up later) and you’ll be rewarded with one of the best views around. If you want to challenge yourself, Beehive trail is a two-hour, strenuous climb offering crystal clear lakes and a beautiful view at the summit. Another steep trail is Precipice Trail, which is more demanding than Beehive but more beautiful. Avoid this trail if you have fear of heights, as you will be climbing over rocks and walking along the edges of cliffs. Prepare yourself mentally and bring a lot of water if you feel comfortable tackling this hike. There’s nothing better than taking a dip right after a long and exhausting hike! Take a break at Bar Harbor Beach and enjoy the sun on the sand after swimming in ice-cold ocean. 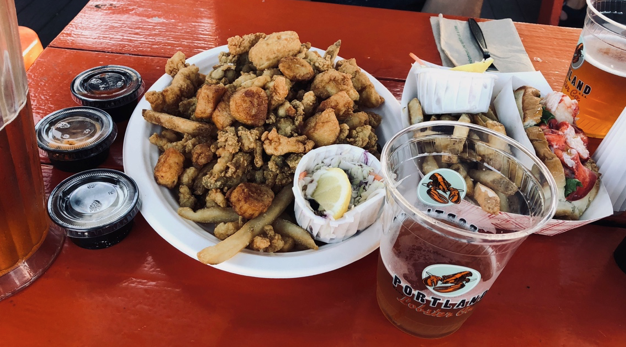 Follow your beach break with some seafood in Portland, Maine, on your way back to Medford. There are many other places New England offers to us. A weekend trip to Cape Cod to enjoy beautiful shore and the national park before it gets bloody cold is a great idea, and it is only two hours away. Take the ferry to visit Martha’s Vineyard for even more. Vermont is a bit further away, but southern east part of this state has amazing mountains where you can witness stunning fall foliage. Check out the Green Mountain and Finger Lakes for a day trip. Boston is beautiful, but it doesn’t hurt to travel away to spend some time in nature. Your body and your mind will thank you! This entry was posted in Around Tufts, Athletics and Fitness, Clubs and Community, Dining, Engineering, Student Life, Summer, Tips and Tricks, Uncategorized, Why Tufts? and tagged autumn, Boston, camping, Cape Cod, climb, East Coast, forest, getaway, Graduate School of Arts and Sciences, health, Hiking, Maine, mountains, nature, New England, New Hampshire, ocean, School of Engineering, SMFA, swim, Tufts, Vermont, weekend, wellness on October 31, 2018 by Courtney Cyr.